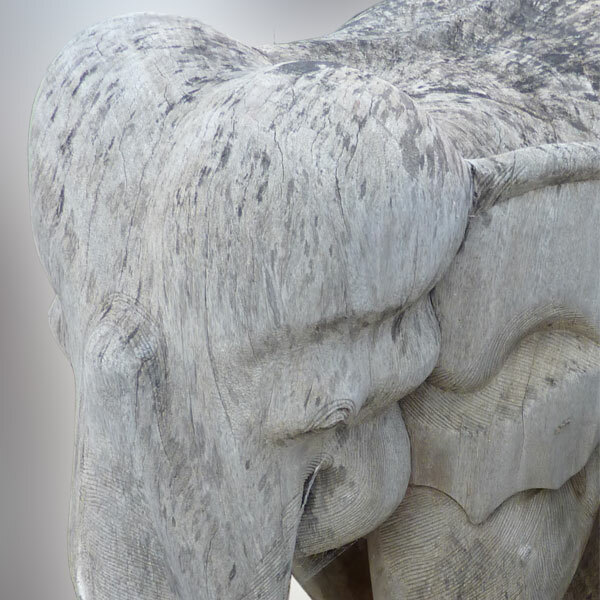 Hand carved Buddhist temple walking elephant figure. Hand crafted from one unusually large monogamus (one piece) of solid hard wood. From the Golden Triangle area of northern Thailand. 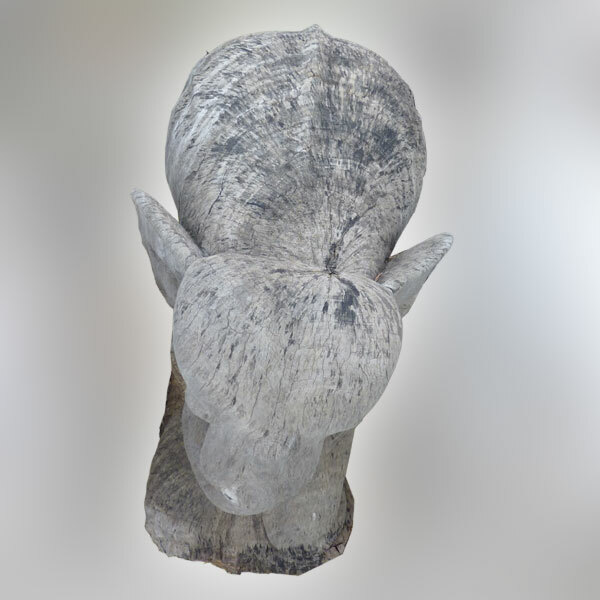 Often times given as offering gifts to the temple as an architectural element decoration. 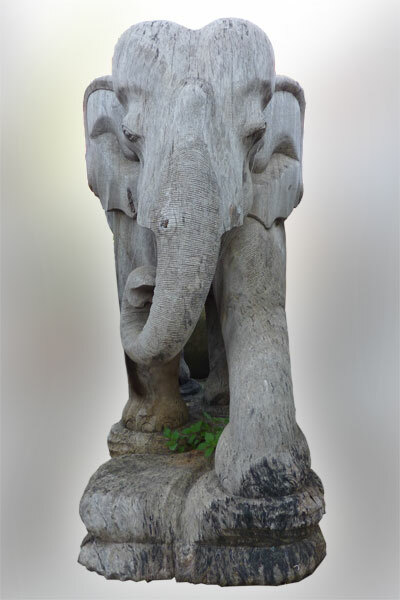 From Thailand, dating from the mid 20th century and stands 46" tall. Measures 22" wide x 45" long.